I’m just about late in the game here, but there are two school days left before St. Patrick’s Day. You may not be able to use all four printables before then, but you may find something you can squeeze in. At least I’m hoping so. 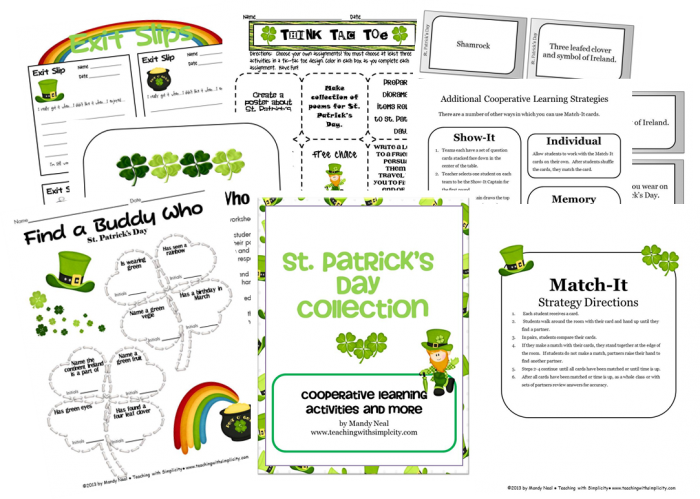 You can download the St. Patrick’s Day Collection freebie HERE, or use the image.